The exposed shiny metal frame that continues with slim, straight legs on this accent chair has an undeniable modern appeal. Softly sloping track arms, a curved barrel back, and a linen-like fabric complete the chair. 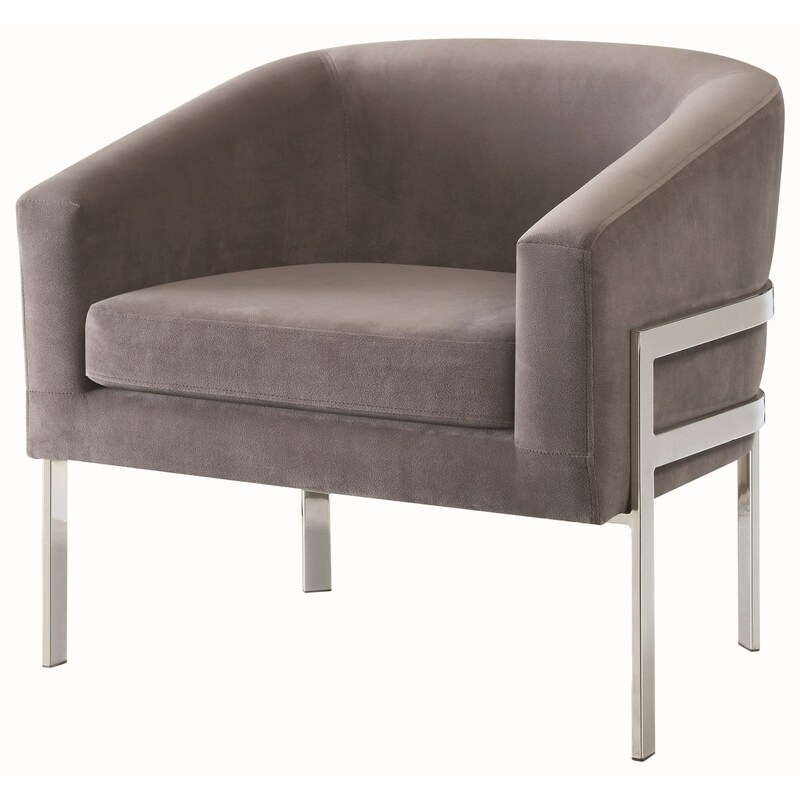 The Accent Seating Contemporary Accent Chair in Linen-Like Fabric with Exposed Metal Frame by Rooms Collection Two at Rooms Furniture in the Houston, Sugar Land, Katy, Missouri City, Texas area. Product availability may vary. Contact us for the most current availability on this product.